Learn to effectively recognize, diagnose, and treat common internal medical conditions with this invaluable reference. 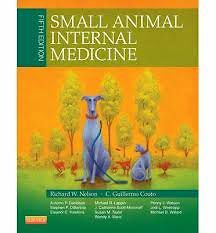 Small Animal Internal Medicine, Fifth Edition, emphasizes practical diagnostic approaches and focuses on the clinically relevant aspects of patient medical management. Extensive color illustrations, boxes, and algorithms, plus new photographs, schematic representations, and updated tables, set this book apart. With its highly functional design and clear, expert voice, this text delivers the most relevant information for the internal medical challenges youre most likely to face.